The guide is designed to show developers how they can easily pair NFC phones with devices such as headsets, pedometers, TVs — and even cars. A new guide explaining how to use NFC to set up Bluetooth pairing has been published by the NFC Forum and the Bluetooth Special Interest Group (SIG), the trade association responsible for the development, promotion and protection of the Bluetooth specification. “Bluetooth Secure Simple Pairing Using NFC” provides developers with examples of how to implement Bluetooth Secure Simple Pairing (SSP) using NFC to take maximum advantage of both technologies when they are present in the same device. 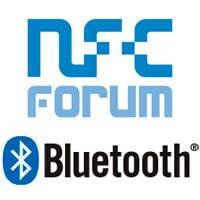 “With over four billion Bluetooth technology enabled devices in market today and nearly two billion coming online in 2011 alone, Bluetooth technology has massive scale, support and runway for aggressive growth, and we’re excited to help developers leverage NFC in the right scenarios,” says Bluetooth SIG executive director Michael Foley. The guide is available to download free of charge from the NFC Forum’s website.